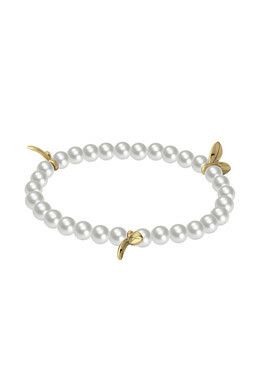 Modern and beaded bracelet with white faux-pearls and small leaf details in a polished gold toned finish. The bracelet looks elegant when worn alone but is easy to match with your other favorite bracelets. The bracelet is flexible and fits most wrists perfectly. One size.